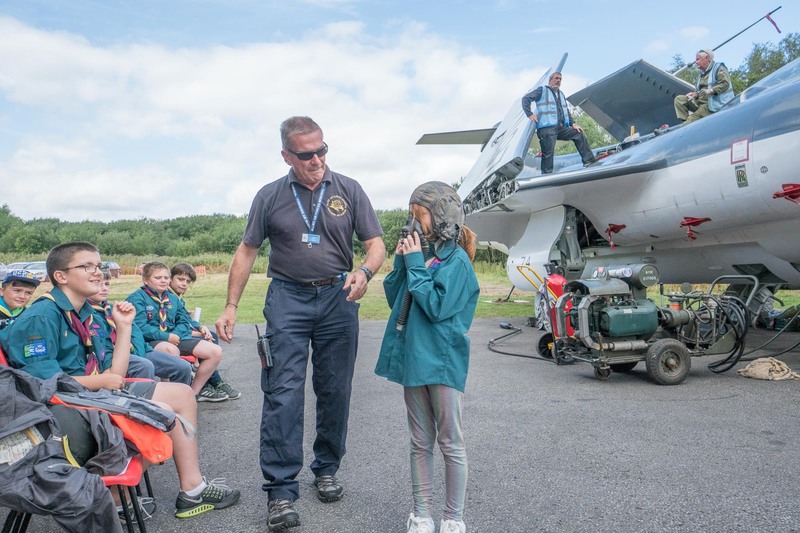 This June the Museum team and the Royal Air Force will deliver a great day’s activities to young Scouts from the region to attain a special RAF Air Researcher Activity Badge. The Museum is proud to be selected by the RAF as their preferred aviation venue in the North of England. During the day, Scouts will get the opportunity to earn this special badge after completing a series of fun aviation and aircraft-related activities. Across the grounds of the Museum, our guiding team together with RAF representatives will deliver talks and activities linked to particular aircraft as well as tours of the Museum’s aircraft collection. The Museum’s learning team has planned each activity session for the scouts which will take place within our spacious memorial aircraft Hangar under the watchful eye of our Halifax bomber Friday the 13th. A total of 200 places for scouts preferably based in Northern England are available for this year’s event.